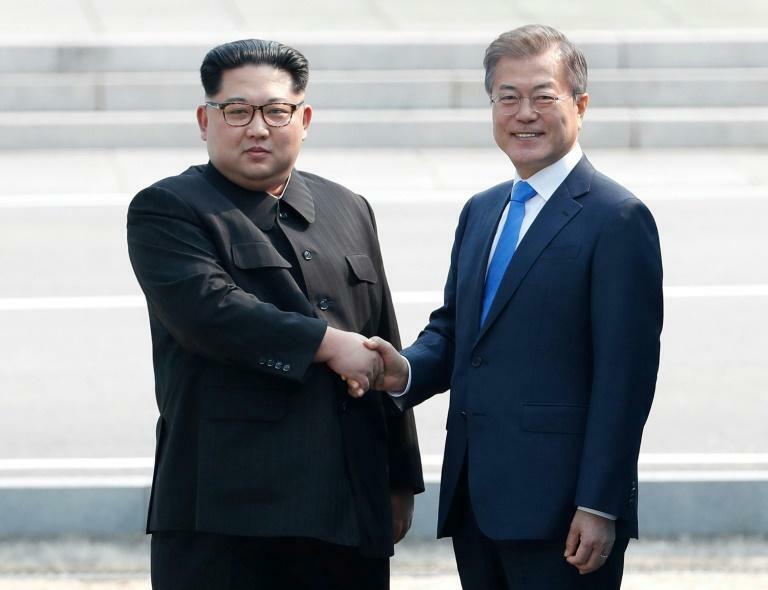 South Korean President Moon Jae-in said Wednesday his visit to Pyongyang next month will be a "bold step" towards formally ending the decades-old war with the nuclear-armed North. The two Koreas agreed earlier this week to hold a third meeting between Moon and North Korean leader Kim Jong Un in September as a rapid diplomatic thaw builds on the peninsula following their first summit in April. Moon's trip to the North Korean capital will be the first visit by a South Korean head of state to Pyongyang since 2007. 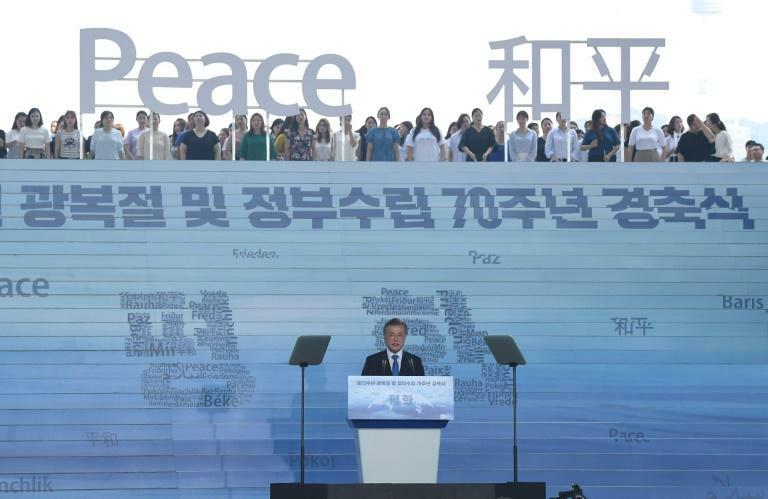 The leaders will "take a bold step towards declaring an end to the war and a peace treaty", Moon said at a ceremony marking the 73rd anniversary of liberation from Japanese colonial rule in 1945. The 1950-53 Korean War ended with an armistice rather than a peace treaty, leaving the two neighbours technically still in a state of conflict. The signatories to the armistice included the US-led United Nations Command -- that fought alongside the South's troops -- as well as China and North Korea. Declaring an end to the war was one of the agreements at the groundbreaking April summit, but little progress has been made with the United States and North Korea at loggerheads over Pyongyang's denuclearisation. The US State Department said Tuesday that while Washington supports "a peace regime", its prime goal was ending North Korea's nuclear and missile programmes. "Our main focus is on the denuclearisation of the Korean Peninsula," State Department spokeswomen Heather Nauert told reporters. China welcomed the September summit Wednesday, saying it believed the talks "will help promote the denuclearisation of the peninsula". Moon brokered the historic summit between US President Donald Trump and Kim in Singapore in June where the two leaders signed a vague agreement on denuclearisation. "Deeply-rooted distrust" must be removed for each side to carry out the agreements, Moon said, but added the two Koreas must lead the current diplomacy on the peninsula. "An improvement in inter-Korean ties is not a collateral benefit to better relations between the US and the North," he said. The dovish South Korean leader offered his vision for economic cooperation with the North once the peninsula is denuclearised, stressing that true liberation will only be achieved by ending the division. "We must overcome division for our survival and prosperity," Moon said. "Even if political reunification is still far away, for the South and the North to establish peace, freely travel back and forth and to form a joint economic community will be true liberation for us," he added. 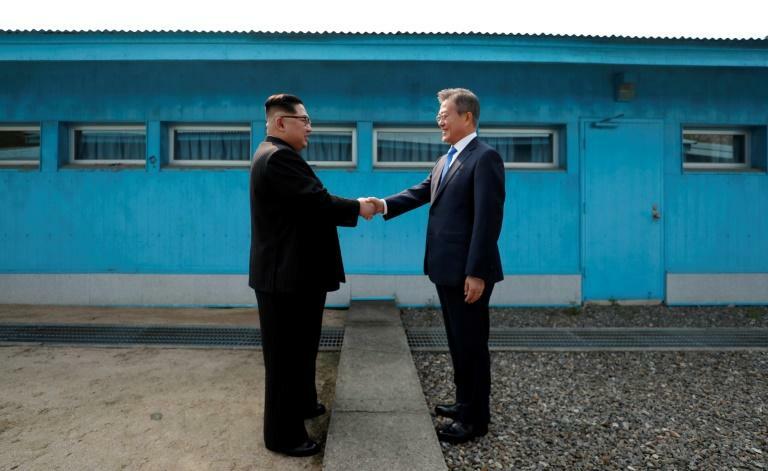 The rapid rapprochement between the two neighbours began this year ahead of the Winter Olympics in the South and cross-border exchanges have significantly increased since then, with planned reunions for war-separated families for the first time in three years. However, international sanctions against the North for its nuclear and missile programmes have kept economic cooperation between the two Koreas from taking off. Although Trump touted his summit with Kim as a historic breakthrough, the North has since criticised Washington for its "gangster-like" demands of complete, verifiable and irreversible disarmament. The US has urged the international community to maintain tough sanctions on the isolated regime.